EVENT STARTS TUE OCT 7 AT 9 AM PT, new sales include Badgley Mischka & More: Shoes, Made in Italy: Boots & more, Betsey Johnson Handbags & More, Sophisticated Satchels, Made in Italy: Handbags, Shae Knitwear, Plus Size: Cullen Cashmere Knitwear, The Sweater Dress, Timeless Toppers: Outerwear Picks, Autumn Edge: Modern Jackets & Coats, Modern Silhouettes: Handbags & Jewelry, New Arrivals: Watches, Diego Dalla Palma Beauty & More at MYHABIT. Designers Mark Badgley and James Mischka—Parsons graduates and romantic partners—launched their label in 1988 using money borrowed from their families. Specializing in (often hand-beaded) gowns inspired by Old Hollywood glamour, the duo quickly earned praise from fashion magazines. After Hollywood starlets began wearing Badgley Mischka creations on the red carpet, the label became a household name in the fashion world. In addition to evening wear and bridal gowns, the designers also create elegant ready-to-wear pieces, lingerie, shoes and accessories. 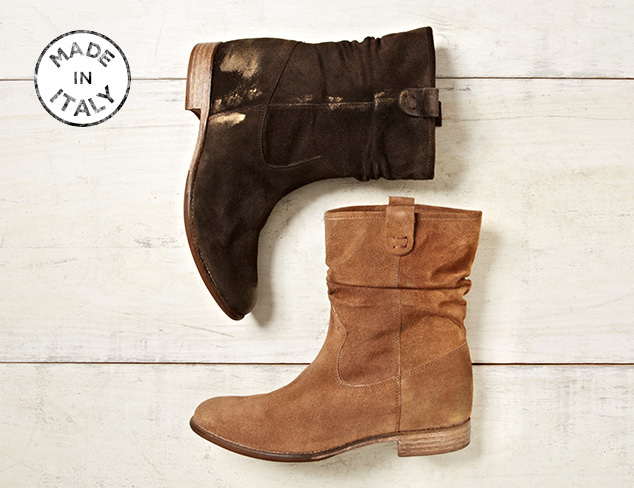 We covet Italian-made pieces for their beautiful designs and fine craftsmanship—and that’s just what you’ll find here. 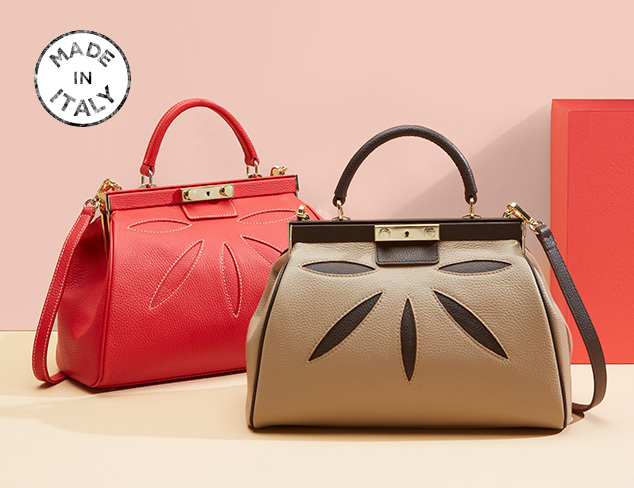 Shop this exquisite selection of supple bags to elevate your look with Italian-style. An emerging brand to watch, Shae has arrived on the scene with striking silhouettes and unique weaves that transform the everyday jumper into a work of wearable art. From cropped to crewneck, made from cashmere and cotton, these splendid sweaters have been spotted in Elle, InStyle and Glamour. Discover your favorite shapes and patterns, and prepare to get cozy in a smart and chic way. Lightweight knits are essential this time of year. This collection from Cullen features sweaters and cardigans that make easy work of layering to keep you feeling comfortable and looking great from morning to night. For crisp autumn days, there’s no better wardrobe option than the sweater dress. It’s comfortable, warm, feminine, seasonally appropriate, and right for the office (add pointy flats and a statement necklace), the weekend (with boots and tights) or the evening (paired with sleek pumps). This collection offers plenty of options, from basic black and classic argyle to colorblock designs and fun prints. 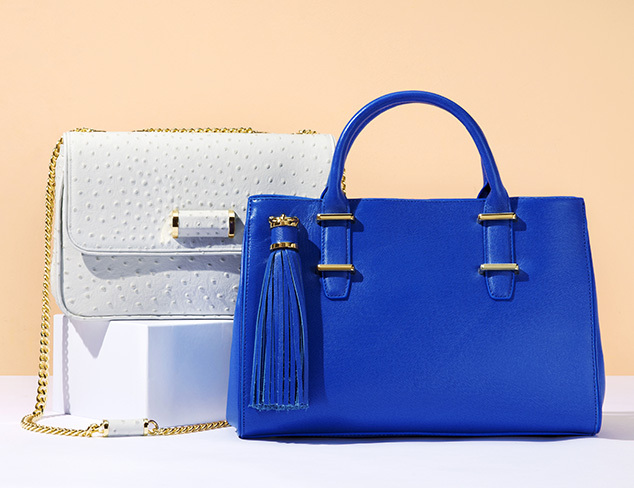 We suggest you stock your closet. Neither snow nor rain nor the crisp air of night will stop you from being stylish. 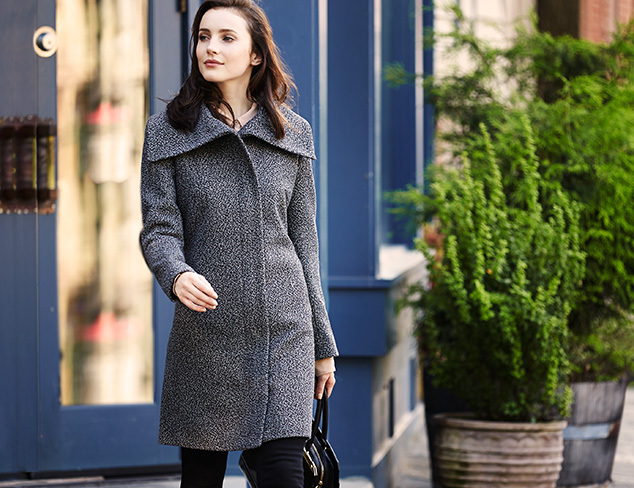 From quilted to trench, leather to long, here you’ll find a classic coat that’s just right for you and whatever weather comes your way. Select your favorites and get ready for lovely tromps in the leaves and graceful gatherings around the fire pit. Autumn will be here before you know it and that means it’ll soon be time to layer up. Here, find a collection of jackets, blazers and coats featuring unique silhouettes, eye-catching patterns and unexpected color combinations. Pair a leather jacket with a pencil skirt and pointed-toe pumps. A tweed blazer looks utterly chic with a simple sheath dress. And an updated baseball jacket is perfect paired with your favorite jeans and ankle boots. 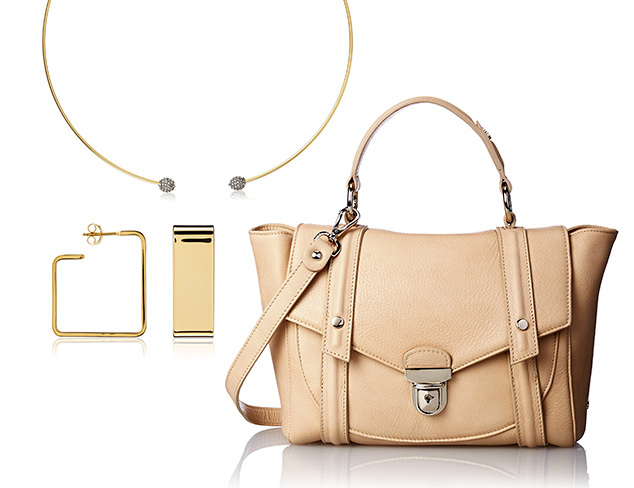 Even the most unassuming outfit makes a big impact with the right accessories. A necklace in a bold, geometric design. A textured hobo. A chunky cocktail ring. A shiny, metallic clutch. This collection is rife with options in cool, modern silhouettes to give everything from an LBD to a jeans-plus-sweater ensemble a wow factor. Nothing screams sophistication quite like a beautiful watch. 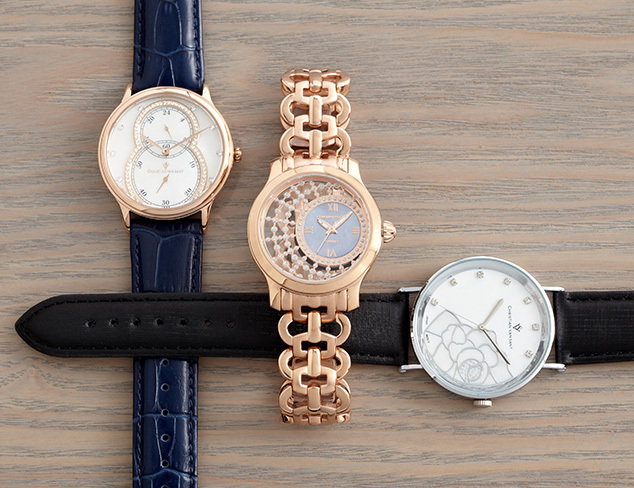 It’s time to update your wrist with a sleek and stylish option from this must-have collection. Whether you’re into classic looks or elegant designs with mother-of-pearl and crystal accents, this assortment has something for everyone. 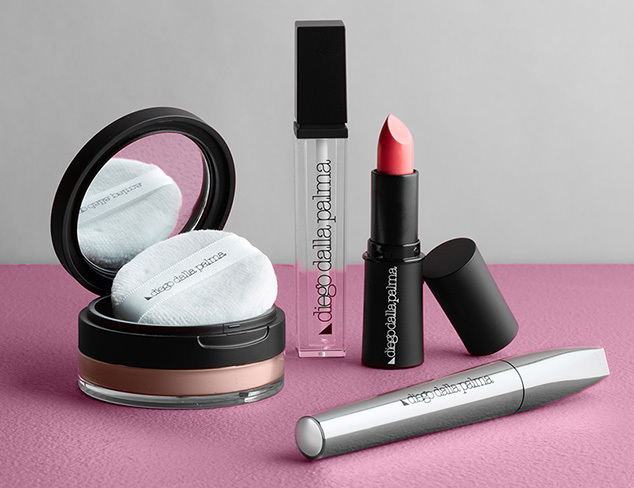 Founded in Milan in 1970, the eponymous line of Italian makeup artist Diego Dalla Palma is built on principals of experimentation. Featuring advanced formulations, dense pigments, rich textures and creative hues, his luxurious cosmetics provide professional quality and real staying power.